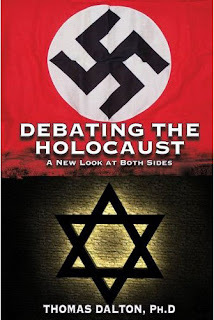 Kevin Barrett's radio show schedule: Is holocaust revisionism legitimate? Thomas Dalton, Roberto Muehlenkamp, Andrew Mathis on Truth Jihad Radio! Is holocaust revisionism legitimate? Thomas Dalton, Roberto Muehlenkamp, Andrew Mathis on Truth Jihad Radio! Truth Jihad Radio Sat. 4/24/10, 5-7 pm Central, American Freedom Radio (to be archived here.) Call-in number: 512-879-3805. First hour: Thomas Dalton, author of Debating the Holocaust: A New Look at Both Sides, says yes. Dalton argues that there is a genuine and very important debate pitting the best of the scholarly revisionists -- including Arthur Butz, Germar Rudolf, and Robert Faurisson, among others -- against the proponents of the academic consensus view (the "traditionalists"). According to Dalton, the revisionists have marshaled strong arguments from evidence in questioning the consensus views of the number of Holocaust deaths, the modes of death, and the idea that these deaths were the result of a pre-planned, organized genocide campaign. And while the revisionists have had less success proposing an alternative version of what happened, Dalton argues, they are making progress toward that goal. 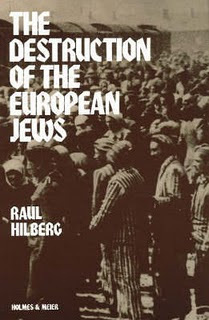 According to Dalton, these revisionists agree that horrific mass deaths of Jews and others at the hands of the Nazis did occur; but they suggest that the original plan was to deport Jews not kill them, the number of deaths was closer to 500,000 than six million, and that there were few if any mass killings by gas chamber. Second hour: Anti-revisionists say no, there is no such legitimate debate. We'll hear from Roberto Muehlenkamp of Holocaust Controversies and Andrew Mathis, who has been on my show before. Dr. Andrew E. Mathis earned his Ph.D. in English and American Literature from New York University in 2000 and currently teaches English and humanities at several universities in the Philadelphia area. He has been combating hatred on the Web since hosting one of the very first anti-hate Web pages as a graduate student. He has been affiliated with the Holocaust History Project and HateWatch and has published a book and several articles on literature, Holocaust history, music, finance, and hate-group activity, including an interview with former Aryan Nations Youth Recruiter Floyd Cochran for The Web magazine. He is currently also employed as a medical editor.